Ceremonial cutting of ribbon during Cantilan Bank’s Sogod branch opening by CBI EVP and acting President Brig. Gen. Charles Hotchkiss assisted by Sogod Municipality Admin. Officer Martin Lagmay, and special guest Mr. Bobby Andrews. Cantilan, Surigao del Sur (March 21, 2013) — Cantilan Bank, Inc., the leading rural bank in the Caraga region, opened its 18th full-service branch in Sogod, Southern Leyte to cater to its fast-growing business and residential clientele. The new branch located on Osmeña Street was inaugurated on Monday, March 18, 2013. Cantilan Bank (CBI) is a community bank that offers a wide range of financial products and services through its network of branches that are strategically located across Caraga, Compostela Valley, Davao del Norte, Davao City, and now the Visayas. “Sogod is the logical first step in the bank’s expansion in the Visayas region considering its dynamic commercial activity and fast-growing economy,” said Raul Urbiztondo, CBI General Manager. “I am extremely positive with this latest development.” Sogod is strategically located at a crossroads between Visayas and Mindanao and CBI views its presence in this municipality a key component in its strategic expansion and entry into a new market place. The new Cantilan Bank branch in Sogod, the bank’s first in the Visayas, is managed by Frederick Ong who most recently served Cantilan Bank’s customers out of the Alegria, Surigao del Norte office. This full-service branch will offer a comprehensive selection of financial solutions which have been tailored for both individual and business customers to meet their banking requirements that match their budgets and financial goals. Cantilan Bank’s full range of rural banking services including loans, deposit products, savings and checking accounts, and microfinance will be backed by a team of professionals with excellent customer service. Customers of Cantilan Bank can visit the new branch from Monday to Friday, 8:00 a.m. to 3:00 p.m.
Cantilan Bank, Inc. was established in 1980 and is presently considered as one of the top rural banks in the country with total resources of P1.46B. For two years in a row, CBI was a recipient of the Landbank awards for Most Outstanding Rural Bank in Caraga and the country’s Second Most Outstanding Rural Bank. For more information on Cantilan Bank, visit www.cantilanbank.com. The Rural Bankers Association of the Philippines (RBAP or Association) requests all Federation and Confederation bodies to encourage their respective rural bank members to submit the requirements for the 2013 1st quarter deposit interest rates. As part of RBAP’s commitment with Bangko Sentral ng Pilipinas (BSP), each rural bank is to submit records of their deposit interest rates every quarter to the Association. The Rural Bankers Association of the Philippines consolidates these reports and submits it to the Bangko Sentral ng Pilipinas. The RBAP, through the Rural Banks’ respective federation/ confederation bodies, encourages its members to submit these requirements before April 10, 2013, Wednesday. Everyone’s cooperation to this activity is advised. The consolidation process is tedious thus we request everyone to submit before the deadline. Please email your deposit interest rates at info@rbap.org or francis.rbap@gmail.com. Please see attached for the format. Country Club is until FEBRUARY 22, 2013 (Friday). Another branch adds to the network of offices Rang-ay Bank has established in the Ilocos and Cordillera regions. The 25th branch is at San Juan, La Union, strengthening the regional coverage Rang-ay Bank has established through its more than 5 decades of countryside banking. The branch is located at the newly constructed public market of the municipality. Rang-ay Bank San Juan opened on January 16, coinciding with the company’s 57thanniversary. The opening ceremony and cutting of the ribbon was led by San Juan Mayor Ruben L. Valero, Jr. He was joined by the wife of Congressman Victor Ortega, Hon. Mary Jane C. Ortega and former Chair of the Board of Dentistry, Dr. Rose Canlas-Nisce. The blessing was led by Rev. Fr. Gilbert B. Sales, the President of Saint Louis College, City of San Fernando, La Union. Rang-ay Bank President & CEO, Ives Q. Nisce started the program by stating that the event marks another milestone of the institution. San Juan Branch is the branch of Rang-ay Bank in the province of La Union. The opening of the branch is in line with the bank’s commitment to bring modern banking services to the doorsteps of the people of La Union, where it’s head office is located. The latest opening brings Rang-ay Bank’s branch network to 25, all strategically located in six northern provinces: Ilocos Norte, Ilocos Sur, La Union, Pangasinan, Abra and Benguet. This newly opened branch is another example of Rang-ay Bank’s concrete contribution to the advocacy of the Bangko Sentral ng Pilipinas for financial inclusion, making available a wide range of financial services to the underbanked and unbanked sectors of our society. This presents the first of the 3-part series of articles about the gains from microinsurance from the perspective of the rural bank microinsurance agents. RBGI, planting the seed of Microinsurance, found a new opportunity to add value to its tree of financial services and operations. Transitioning from an informal to formal provision of MI, RBGI has been given more space to further improve its MI product and services, expanding its market and attracting more bank clients. Since 2003, Rural Bank of Guinobatan, Inc. (RBGI) became known in providing microfinance products in areas of Albay and Sorsogon. As it strives more to satisfy the financial needs of the low-income sectors and further its willingness to help uplift the lives of these people, RBGI included to its services in-house insurance bundled to microfinance products for its clients and called it “Damayan Fund”. The insurance provided by the bank is fast and efficient in addressing the needs of the clients in times of distress. 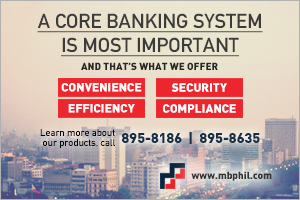 However, Bangko Sentral ng Pilipinas (BSP) mandated all banks to stop providing in-house insurance to their MF clients as stated in the BSP Circular No. 683. Instead, RBGI partnered with a competent insurance provider in February 2010 that also delivers fast and efficient claims processing. Known now as “KABUHAYAN Plan”, the bank has become more willing to service it for it is more reliable in responding to the MF Group loan clients’ need for adequate financial protection in times of distress, misfortune or other contingent events. Moreover, the premium is more affordable and payment is more convenient for the clients. It does not only cover the clients’ life and loan but also covers dismemberment and the lives of family members. The coverage of Borrower’s life is in the amount of 50,000.00 and additional 50,000.00 natural and accidental deaths subsequently. from the loss of her husband. On the other hand, the bank also benefits from it, as it lowers the risk of non-payment of loan in case the clients experience misfortune from a loss of a family member or their own death. Furthermore, clients manage to stay in the program because of the benefit they get from MI, thus helping RBGI achieve client retention. In fact, drop-out rates lowered to 15% (45% in 2011 to 30% in 2012). Since the third quarter of 2012, RBGI has enrolled a total of 9,563 borrowers, 7,084 spouses, 20,101 dependent children and 143 dependent siblings and has already served 77 claims for the year 2012. As MI has boomed up until today, RBGI has continuously promoted it by distributing flyers as promotional material, and the partner insurance provider has given visual aids to be used for client orientation. Moreover, the staff managed to inform well the clients of the terms and provisions by giving re-orientation during the release of loan. Every branch also managed to process the claims for a short span of time when all the needed documents for the claims are ready. But its implementation is not at all times perfect. RBGI faced some problems in servicing microinsurance that needs to be addressed. On clients’ part, it is in completing the information sheets that shall be encoded in the system. However, it can be addressed by constant follow-up lectures on clients and making them understand more of the policy and procedure of the insurance and importance of providing the right and complete personal information. The challenge now is how to maintain the benefits MI offers to the clients and know what other ways the bank can do to address whatever predicaments might occur. 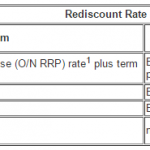 Presently, RBGI is offering MI to the microfinance individual loan product clients. The bank is motivated to offer MI to individual loan borrowers because before, the insurance offered to them only covers risk protection of their loans with the bank. And so, in order to provide the same benefits MF group loan clients have, we now bundled it with comprehensive insurance coverage just like the “KABUHAYAN Plan”. Moreover, RBGI is more inspired to be of great service to the people and shall continue to find ways on how to improve its products and services to satisfy the needs of its clientele. Alex L. Fajardo was employed in 2006 as an MF Account Officer. 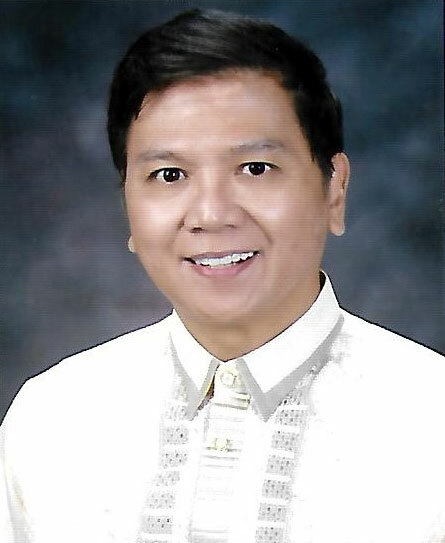 By June 2009, he was promoted as MF Supervisor and was assigned in Tiwi, Albay branch. Currently, he is the Operations Officer of the bank’s Microfinance Program. Mr. President, it is my honor, pride and privilege to rise in this august Chamber to sponsor this important piece of economic legislation. I rise to sponsor Senate Bill No. 3282, “AN ACT ALLOWING INFUSION OF FOREIGN EQUITY IN THE CAPITAL OF RURAL BANKS, AMENDING REPUBLIC ACT NO. 7353, OTHERWISE KNOWN AS THE RURAL BANKS ACT OF 1992, AS AMENDED AND FOR OTHER PURPOSES. This bill is in substitution of Senate Bill No. 1907 introduced by Senator Miriam Defensor Santiago and Senate Bill No. 3089 introduced by Senator Edgardo J. Angara, taking into consideration House Bill No. 5360 introduced by Representatives Sergio Apostol, Rufus Rodriguez, Maximo Rodriguez, Jr., Pedro Romualdo, Roilo Golez, Julieta Cortuna, Isidro Lico, Cresente Paez, Philip Pichay, Arthur Defensor, Jr., Jeci Lapus and Agapito Guanlao. Mr. President, rural banks have been operating in our country for almost sixty (60) years, and in all that time, have always been important and economic and financial players in countryside development. Throughout the Post-World War II era, they have made positive contributions on our rural economic development and financial inclusion. I will emphasize the leading role that rural banks have played in the development of the countryside for six decades. Mr. President, this bill aims to open up ownership of rural banks to foreign equity, and in so doing, revitalize the rural banking system and improve access of banking services in rural areas. This legislation will stimulate more lively activity among rural banks by creating an environment that is beneficial to foreign investors, local banking patrons, and national economy. But first, Mr. President and distinguished colleagues, for the enlightenment of the general public, please allow me to give you a background on why this bill was filed and why it needs to be enacted with immediacy. Let us begin with Republic Act No. 7353, known as the Rural Banks Act of 1992. R.A. 7353 ensures that it is the only category of local banks that is not allowed to access foreign equity. This restriction has limited the capabilities of our rural banks to improve and expand its services to farmers, micro-enterpreneurs, Small and Medium Enterprises (SME), and rural folk. It has limited the further expansion of banking services especially in the countryside where financial inclusion is most needed. I wish, Mr. President, to delve further into Philippine banking history. It has not always been the case that rural banks are not allowed access to foreign equity. In the old “Rural Banks Act” or Republic Act No. 720, which took effect in 1952, it was mandated that “at least sixty percent of the capital stock of any Rural Bank shall be owned and held by citizens of the Philippines: xxxx”. Thus, under Section 4 of R.A. 720, rural banks were allowed foreign equity up to forty percent (40 %). But on January 16, 1981, Section 4 of R. A. No. 720 was amended by Presidential Decree (P.D.) No. 1794 which provided that, “the capital stock of any Rural Bank shall be owned and held directly or indirectly by citizens of the Philippines.” The rural banking industry was thus effectively nationalized. Republic Act No. 720 was later repealed by Republic Act No. 7353. But Section 4 of RA 7353 continued to restrict the ownership of rural banks to citizens of the Philippines only. c)by establishing branches with full banking authority. Sadly, the law fell short of allowing foreign individuals or foreign entities which are not banks, to acquire equity in rural banks. Mr. President, today, rural banks need to comply with international capital standards; are called upon to expand and improve their competitiveness; and channel more resources and increased investments for the benefit of the unserved and the underserved. There is pressing requirement for rural banks to strengthen our agri-agra base to enable it to compete globally. There is a growing demand for capital needed by the microenterprise and SME sectors. There is an increasing need, Mr. President, for rural banks to invest in expensive but necessary technology to provide more effective and more efficient services. For this, rural banks need to look beyond their limited resources and take advantage of funds available elsewhere. The opportunity to forge international equity partnerships will put rural banks on a level playing field with its thrift and commercial bank counterparts that are able to take in foreign partnerships. A healthier and more competitive rural banking sector, with the benefit of international partnerships, will mean more resources to reach out to the unbanked, underbanked, and the less privileged sector of society. Mr. President, I cannot emphasize enough the importance of rural banks, and its premiere role as engines of rural economic development. For example, according to official reports of the Bangko Sentral ng Pilipinas, rural banks have been supportive of, and actively involved in, BSP’s endeavor to promote sustainable microfinance as a response to the needs of the many enterprising poor in the country. Since its launching as one of BSP’s advocacies in 2000, the number of rural banks involved in microfinance has steadily risen as of end-December, 2011. There are already seven microfinance-oriented rural banks, having 293 branches nationwide and 137 others engaged in micro-lending. For the promotion of microfinance in the countryside, the said Report states that as of the end of September, 2011, rural banks have provided a total of P 5. 4 Billion worth of microfinance loans to 808,021 micro borrowers. Over-all, there were six microfinance-oriented rural banks and 137 rural banks with some level of microfinance operations funding the credit requirements of the entrepreneurial poor. The industry also further expanded its banking services by providing non-traditional delivery channels such as Automated Teller Machines (ATM) and electronic banking. The same Bangko Sentral report reveals that as of December 2011, rural and cooperative banks had deployed 233 Automated Teller Machines (ATMs) of which 199 are on-site and 34 are off-site. To complement this, a total of 56 rural banks were provided electronic banking services such as the Electronic Fund Transfer Point of Sale System and Mobile Banking. The rural banking industry is one of our most successful sectors. It has sustained its growth momentum. Total assets as of end-September 2011 reached P 169 Billion ——- 9.2 percent higher than the P 155 Billion recorded for the previous year ago. d) Real Estate, Construction, Renting and Business Activities at P P 1.2 Billion or 8 %. The combined P 8.8 Billion loan growth in these sectors accounted for 75.7 % of the industry’s total loan growth of P 11.6 Billion. The BSP Report, Mr. President, notes that total capital accounts of the rural banking industry strengthened by 11.6 percent (P 3.1 Billion) to P 29.9 Billion, as of end-September 2011, an increase from the previous year’s P 26.8 Billion on the back of the rise in paid-in capital (11.1 percent) and retained earnings and undivided profits (12.5 percent). However, the BSP report warns that even with a relatively high capital adequacy ratio, only 482 (85.8 percent) out of 565 rural banks, were able to comply with the required minimum amount of capital. The Report advised non- compliant banks to consolidate or merge with stronger banks or increase capitalization. Foreign equity investments would, without doubt, Mr. President, fill this gap. It would solve the problem of rural banks complying with the required minimum capital. Foreign equity would definitely be a major stimulus for microfinance, micro-enterprise, and agriculture sectors and will therefore be catalysts in countryside development. This legislation will open a new source of equity infusion, particularly for the smallest lenders that cannot expand and who cannot afford sophisticated forms of financial services. Mr. President, ladies and gentlemen of this venerable institution, in recognition of the limitations brought about by section 4 of R.A. 7353, restricting ownership of rural banks to Filipino citizens only, I am seeking the immediate passage of this measure, which will amend section 4, allowing for foreign individuals and entities to acquire equity of up to 60% in rural banks. For these reasons, Mr. President, I urge my distinguished colleagues in this august chamber to join me in enacting this measure. Thank you very much. Course on Property Appraisal on August 10-11, 2012 is now CANCELLED. 2012 at the RBAP Bldg. Intramuros, Manila. The Confederation of Central Luzon Rural Banks, Inc. will hold its 2012 Annual Management Conference with the theme “Rural Banks – Pillar of Strong Economy: Bracing for Global Challenges” at the Holiday Inn Clark, Mimosa Drive, Clark Freeport Zone, Angeles City, Pampanga on February 28 and 29, 2012. As for the registration rules and other pertinent matters on payments and whom to contact, please download the attached registration form, circular letter, invitation, etc. We advise all to please take note of the deadlines and guidelines. This to to notify all concerned Rural Bankers in the Southern Tagalog area of the upcoming Annual Management Conference, which will take place in Paoay at the Plaza del Norte Hotel and Convention Center from March 1-2, 2012. This year’s conference theme is “Overcoming the Challenges.” Special guests include Congresswoman Imee Marcos and Ma. Dolores Yuvienco, Assistant Governor of the BSP. As for the registration rules and other pertinent matters on allowable expenses, payments and whom to contact, please download the attached registration form, circular letter and annexes CSTRB 2012 . We advise all to please take note of the deadlines and guidelines.